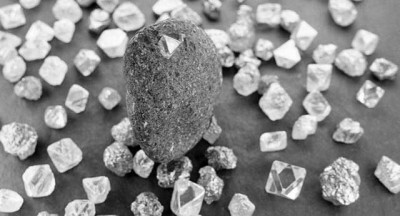 Diamond Industry: Improve or Loose! 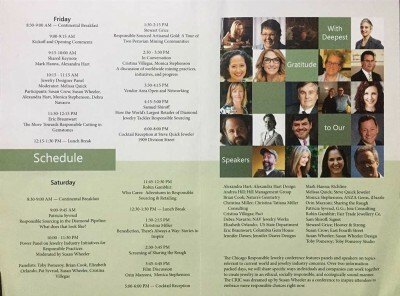 Lets Talk Ethical Sourcing: in Chicago! Inspired to collaborate for the Lori L Fine Art Gallery "Feather Show," this piece was just unveiled on Saturday! 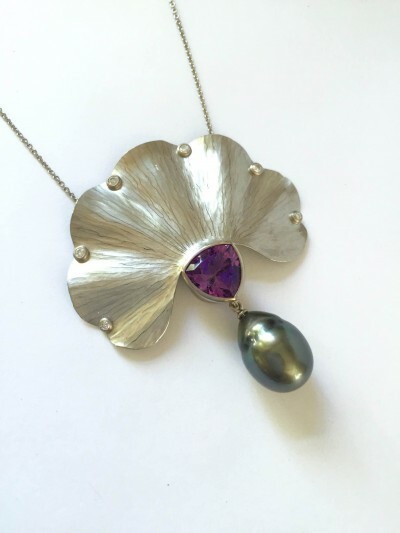 All hand fabricated of 100% reclaimed Palladium and 18k palladium white gold, and set with CGH Fairtrade amethyst and NB recycled diamonds, with a Tahitian pearl drop. 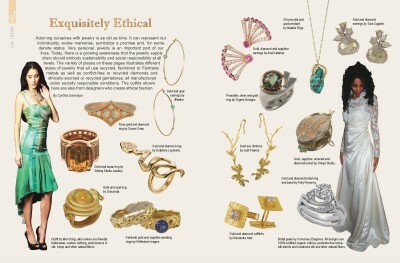 Exquisitely Ethical- Hot off the Press! 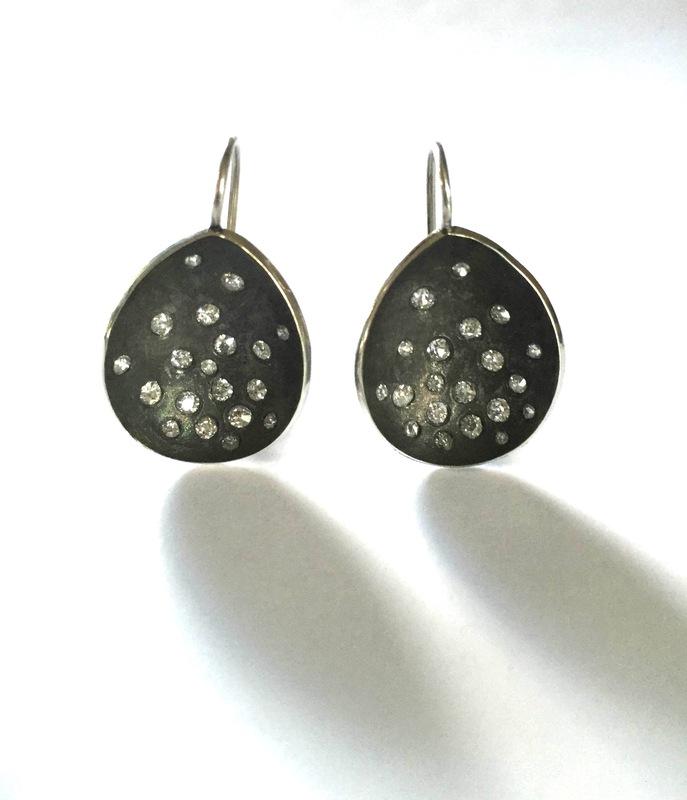 For a couple of "grown-ups" getting married, simplicity is the order of the day. Set against a lovely champagne dress, the brilliant white rings sparkle with a few Australian diamonds nestled into a textured curvy band. 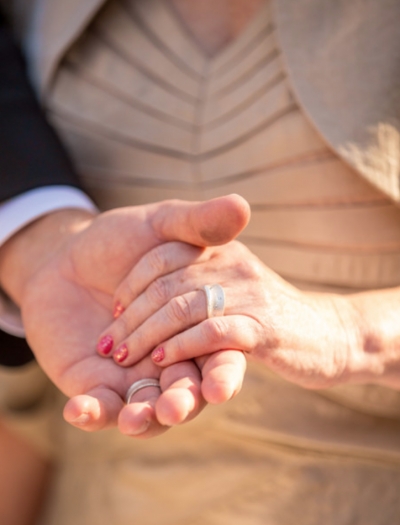 Congratulations to this happy couple, and thank you Jolyne Harris Photography for such an elegant shoot! 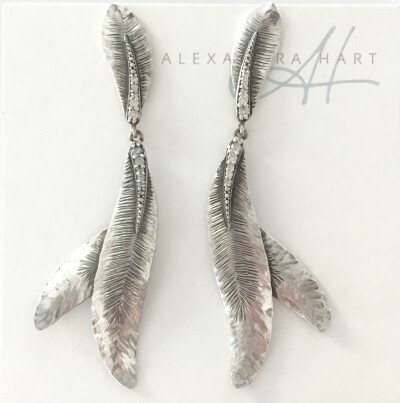 For those who prefer dramatic statement earrings, these new Pure Flight earrings swing 2.75 inches full length, yet are casual enough for dressing up your jeans! 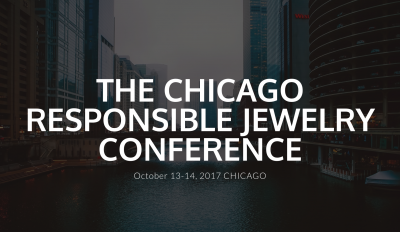 Repurposing old unwanted or damaged jewelry is a fun way of recycling! 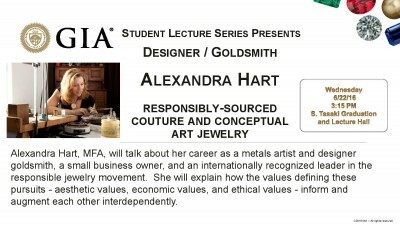 Jewelry materials are usually valuable so nothing goes to waste, and then there's a NEW piece reborn from the old. 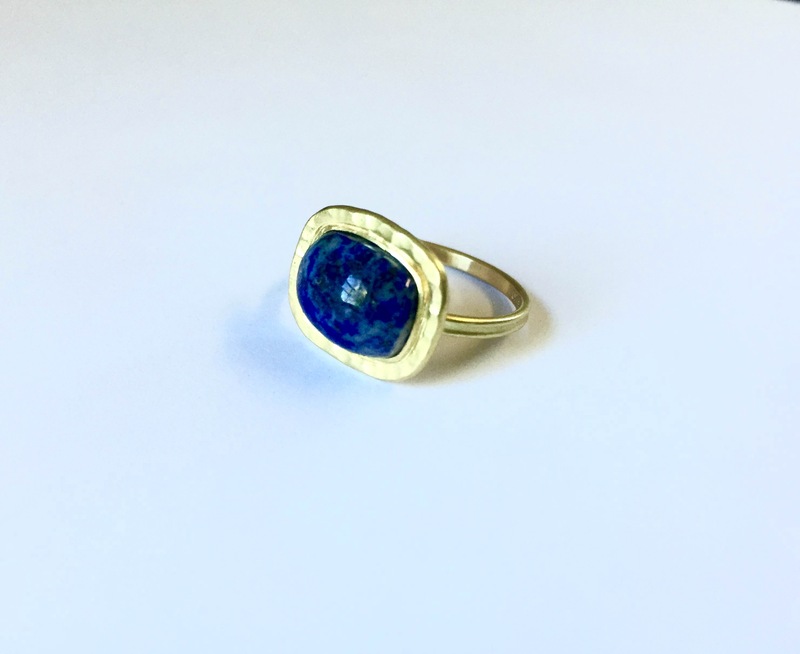 This ring is made from 18k gold scrap and a re-cut lapis lazuli cabochon, in a setting referencing Early Renaissance Jewelry.